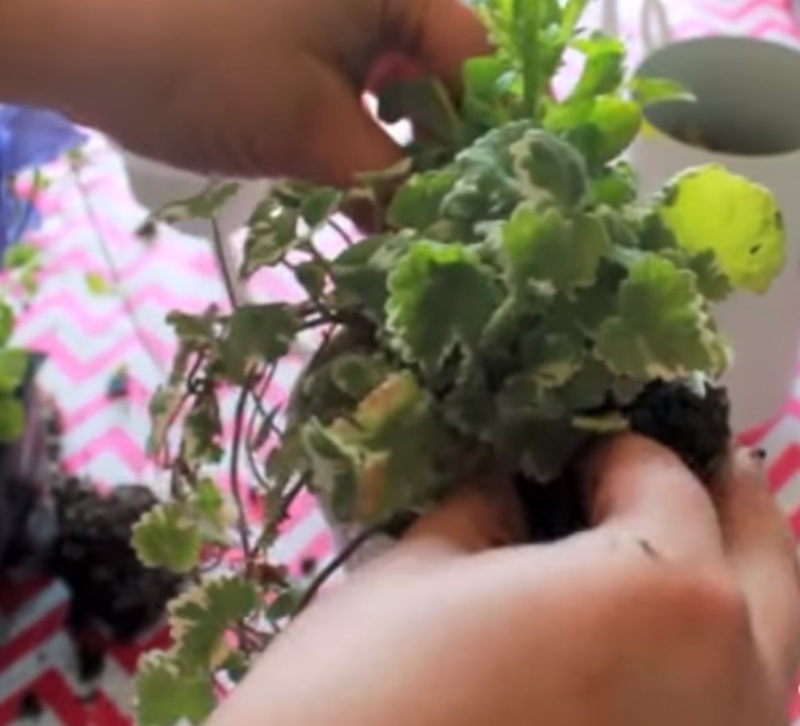 This video shows a creative way to repurpose a chandelier into a combination planter/bird feeder. This tutorial (courtesy of MadeByMarzipan) walks you through the steps to make a tea party planter, beginning with a list of supplies, including tea cups and a chandelier. 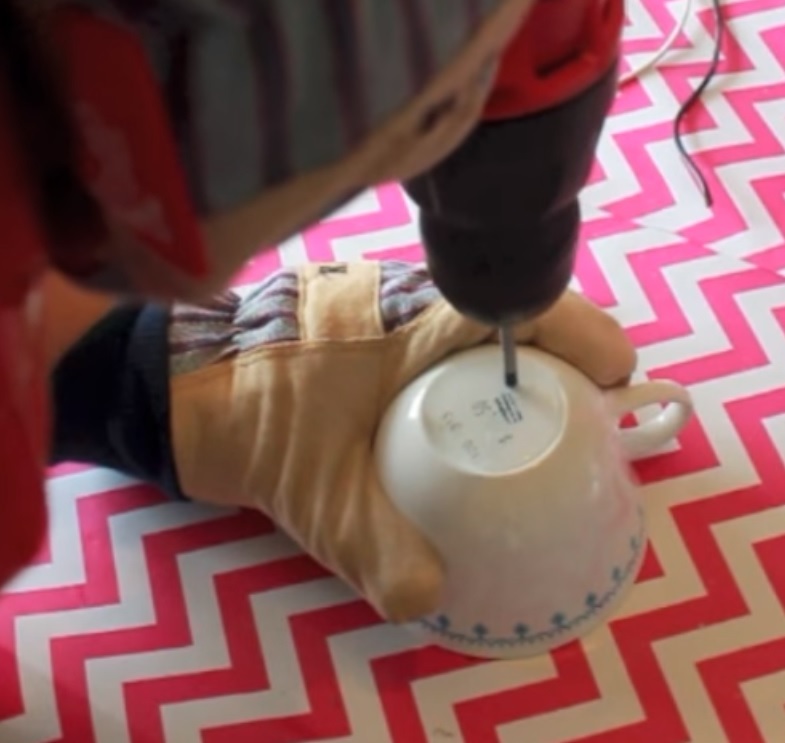 The instructions are easy to follow while working on your own project, and she gives helpful hints such as wetting the bottom of the cup before drilling a hole. 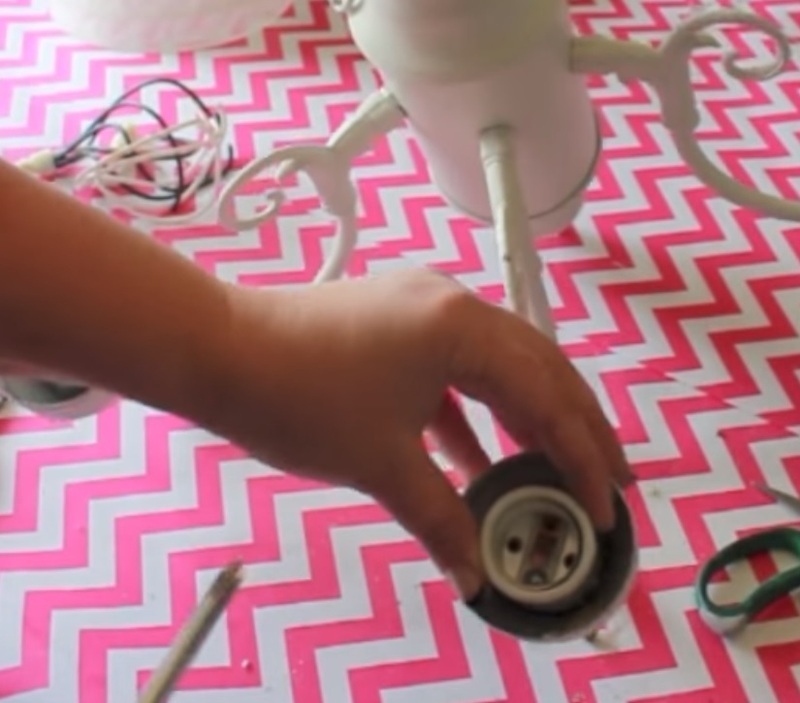 She also shows how to detach the wiring and sockets from the chandelier and explains why she chose a specific epoxy for the cups. You can make it uniquely yours by choosing an outdoor-ready spray paint and selecting cups that match your space. Ultimately you will end up with a cute planter for succulents and a bird feeder – all made out of tea cups! Watch the video below and take some notes! 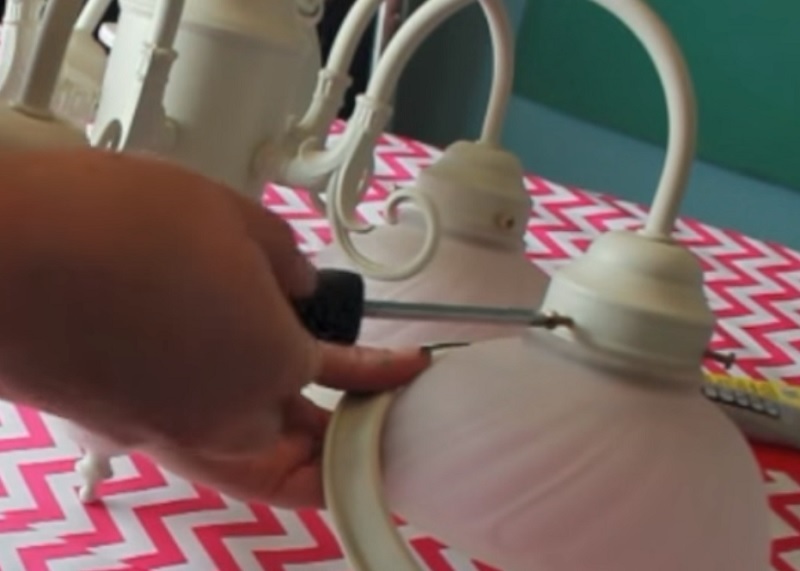 If your chandelier still has the shades attached, please remove them carefully with the screwdriver. The next step is to remove most of the wiring. 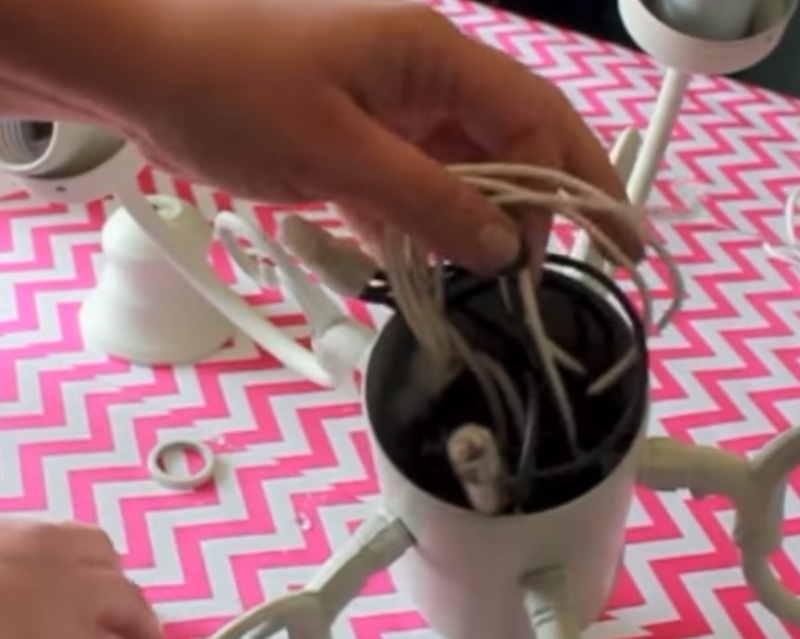 To gain access to the wiring, gently unscrew the parts of the chandelier’s body. Using the wire cutters, cut the wires attached to the chain. This will make it look more attractive. Also cut the wires going into the arms which will make it easier to take out the sockets later on. Prying apart the chain with pliers if necessary, remove the cover plate that is attached to the chain. The link that is bent may either be taken off or bent back into shape. The sockets come out next. They are held in place with a single screw. Once you have removed the screw with the screwdriver, pull the socket and attached wires out. If the wires prove difficult to pull, cut them as close as you can to the bottom. If you were fortunate enough to get a chandelier with the arms facing upward, you can skip this step. If not, now is the time to turn the arms so they face upward instead of down. Before you proceed further it is time to paint your chandelier. You can go earthy or bold but be sure to choose a good, outdoor spray paint made for use on metal. 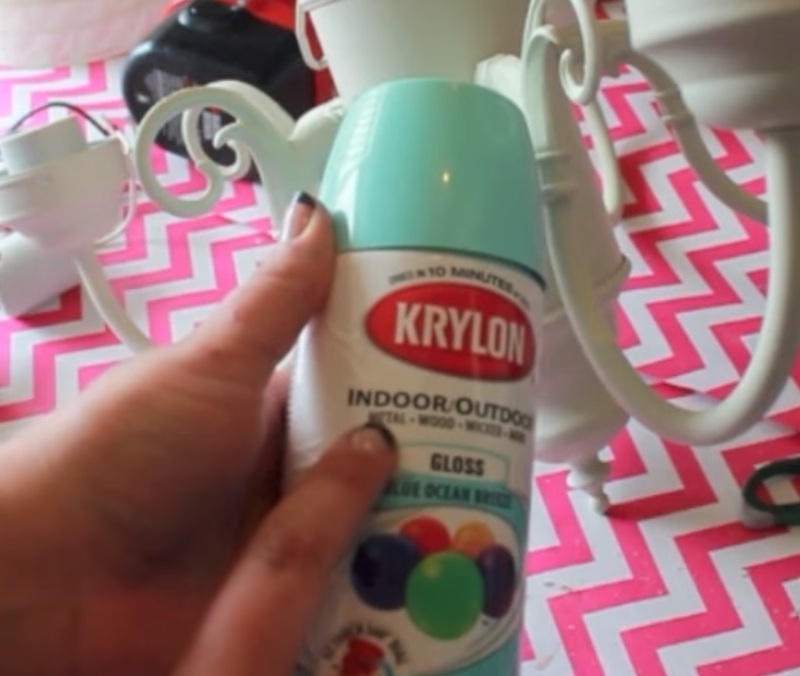 Paint your chandelier outside on a warm, dry day. It is now time to prepare the tea cups. If you want the cups to be planters, they will need to have drainage holes drilled into the bottom. 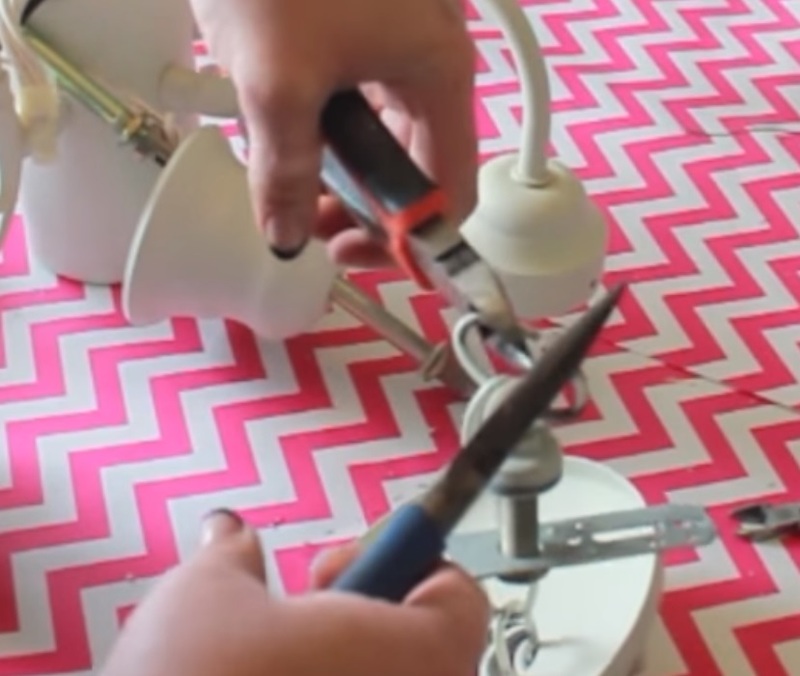 Make sure you have a drill bit for glass and tile. Before drilling, put on gloves and safety goggles. Turn the cup upside down and pour a little water onto the bottom to keep the drill bit from overheating. It will also make a smoother hole. It may take about four minutes to drill through but keep the pressure firm and steady. You will need two holes per cup. If you are putting birdseed in the cup, you will not need to drill holes. 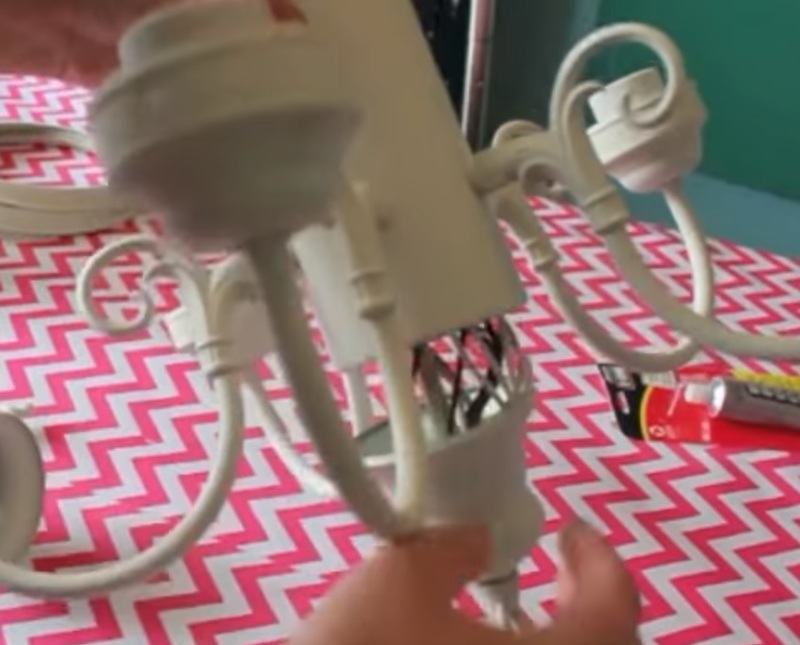 Once you have drilled all of the holes, you can attach the cups to the chandelier. If it is possible to remove part of the chandelier to enable it to sit flat, please do so. 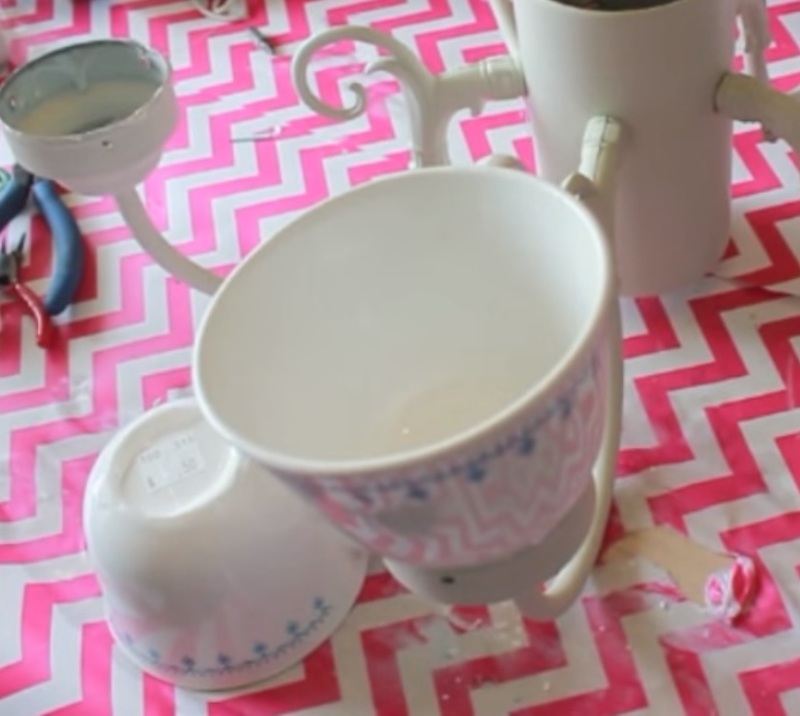 Using the sand paper, lightly sand the bottom of the tea cups. The best glue to use for this job is E6000. It is waterproof and dries clear and flexible. It works on both metal and ceramics. E6000 glue can be found in the hardware section with other heavy-duty glues. 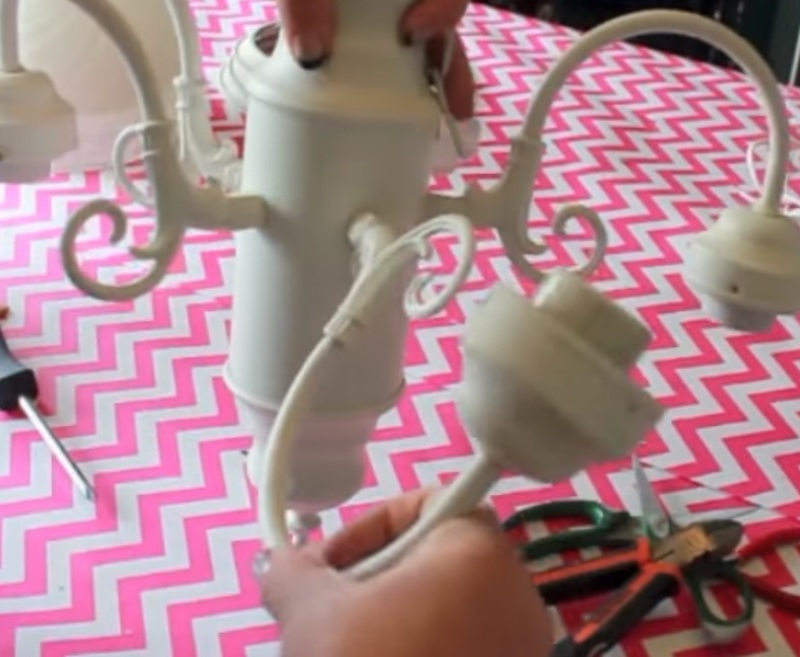 Place a modest amount of glue on the rim of each arm of the chandelier. Then, put some on the bottom of the cup. Wait approximately five minutes for the glue to become gummy before pressing them together. Be sure to wait 24 hours before moving the chandelier and 72 hours before exposing it to the outdoors. Finally, it is time to plant flowers or small plants into the cups or fill some with bird seed. Hang the chandelier from a ceiling hook or shepherd’s hook and enjoy!